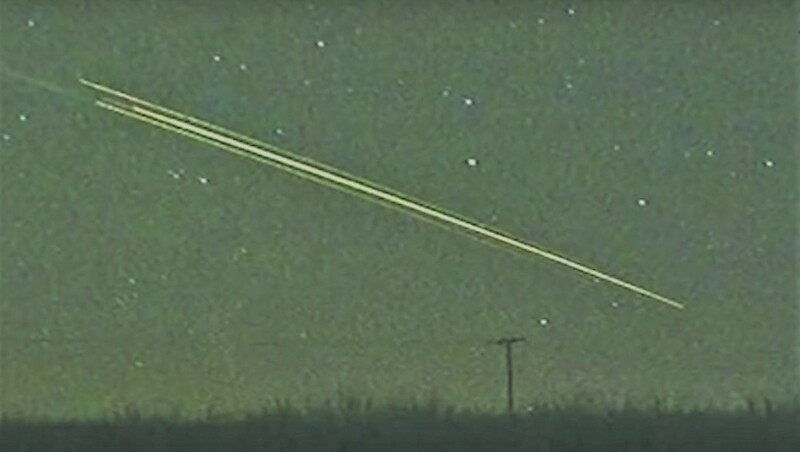 On 22nd of September back in 2012 I was driving my car at night when a brilliant green light shot across the sky casting shadows across the countryside. Other people also saw it and some even called 999 thinking it was a missile or even alien spaceship. The event even made it onto the main evening 10 O' Clock news. It was very spectacular. I snagged this screen shot from the BBC news. Shakespeare knew all about meteors and mentions them in several of his plays for example Henry VIII Act V, Scene 4 and The Merry Wives of Windsor Act II, Scene 2. However, in a couple of Shakespeare's other plays he gives us an insight into Tudor cosmology. In Tudor times meteors falling to Earth were thought of as harbingers of doom. Nothing good would come from such an event. In Richard II the Earl of Salisbury speaks to the King thus "I see thy glory like a shooting star falling to the bare earth from the firmament" (Act II, Scene 4). Of course it does not end well for Richard II. In Henry IV part 1 Act V, Scene 1 the Prince Hal talks of an "exhaled meteor" being a portent of broached mischief to unborn times. But where are meteors exhaled from? The answer is in Romeo and Juliet (Act III, Scene 5) when Juliet seeing the approaching dawn dismisses the light as being due to "some meteor that the Sun exhales". Shakespeare assumed that the Sun expelled meteors into the night sky and because he wrote for his time his play audiences must also have accepted this as fact as well. In our age we are aware that the Sun does not exhale meteors but we do know that it can emit solar plumes that in extreme circumstances can disrupt radio & TV broadcasts here on Earth. I don't know if a broadcast of one of Shakespeare's plays has ever been disrupted by a solar plume but it is possible.